Apps We Love! 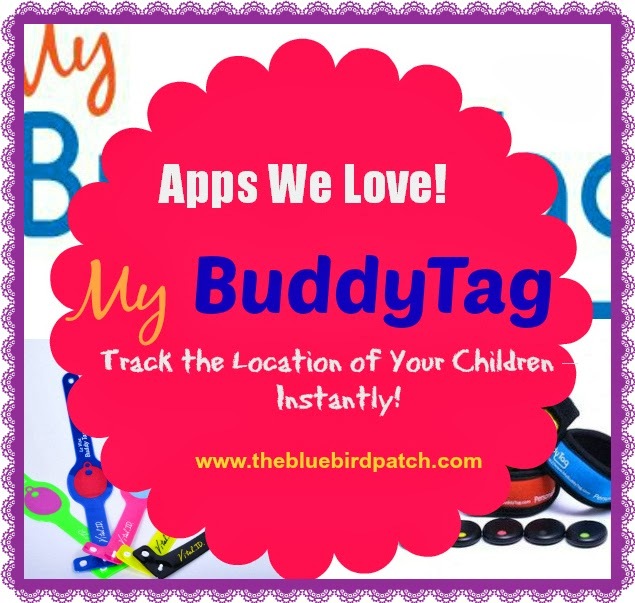 My BuddyTag™ Gives Peace of Mind to Parents By Tracking the Location of Their Children – Instantly! If you are a parent and you've lost a child for a split second you know how fast panic can set in. Let's face it, losing track of a child is a parent's worst nightmare and unfortunately no matter how good we are, situations like these are bound to happen. You go to a park, or a store, stop to look at something and all of the sudden you loose track of your child. You heart starts racing, we start calling them at the top of our lungs (at this point we don't care how crazy we might look we just need to find our cub, I mean kid) and everyone starts looking at you like you have lost your mind. If you can relate to this then you might be interested in a trying out a new app called “My Buddy Tag”, the latest child-safety device that helps parents keep track of their children while on-the-go. My BuddyTag App, together with its bluetooth tag and wristband with personal ID, helps parents track their kids when out and about. BuddyTag App will sound an alarm on Android devices if the child with BuddyTag is out of the App's proximity. If the child did get lost, the personal ID information on the wristband will help get the child reunited with the parents. In addition, there is a Panic Alarm on the wristband with the bluetooth tag, and the child can press Panic Alarm to notify the parent that he/she needs help. Proximity Alert System: BuddyTag alarms you when your child is out of your proximity. Panic Button: Conveniently located on wristband. Alerts at the touch of a button. Perfect for private and public areas or threatening circumstances. Email with Last Seen Location: Emails you the time and map locations when your child was last seen by BuddyTag App. Perfect for parents with a nanny taking the kids out for activities! iPhone and Android Compatible: BuddyTag works with iPhone 4S, 5, 5C, 5S and Samsung Galaxy S4 & Note 3 using Android version 4.3 only. Kid Friendly: This unique product comes in stylish wristbands. Easy to wear even for your infant. Personal ID: Child ID in BuddyTag wristband helps reunite your child with you if separated. 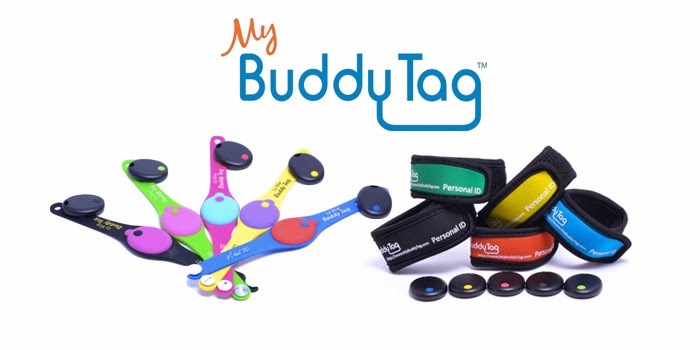 BuddyTag is available in 4 different styles (Silicone, Disposable, Terrycloth, Velcro) and over five color combinations. Each wristband with a Bluetooth tag retails for $35.00 and can be purchased directly at http://www.MyBuddyTag.com.